Can rebranded Northern Ireland Conservatives deliver? [www.bbc.co.uk] Read more about sharing. As anyone in the business world knows, re-designing or rebranding your product is fraught with difficulties. Some customers don't like change. Just ask senior executives at Royal Mail. When they changed their name to Consignia it did not work and caused a media storm so they reverted back to their original title. Coca Cola and British Airways have also had to withdraw changes to their brand after customers objected. In the political world there are similar dilemmas. For decades the Conservatives in Northern Ireland ploughed their own furrow with little electoral success. In 2010, they joined forces with the Ulster Unionists and fought the general election with agreed candidates under the banner of Ulster Conservatives and Unionists New Force (UCUNF). Many supporters hated the full title and broadcasters were wary of using the initials so the alliance was simply referred to as Conservatives and Unionists. The Tory/UUP link up was an attempt to launch a new brand of politics and create a link between the electorate in Northern Ireland and the government at Westminster. The alliance failed to deliver a single MP and now both parties have gone their separate ways. The Conservatives now want to fight council and assembly elections under their own banner. 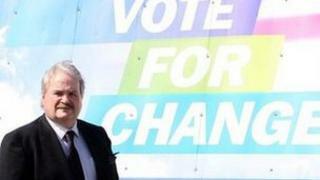 Northern Ireland chairman Irwin Armstrong has said it marks a new start for pro-union, centre right politics. He said there is a hunger for a new kind of politics and "a market for what we are doing". He added that "it is a cross-community support that we are looking for". Ian Parsley is one of those who once backed Irwin Armstrong's vision. In 2009 he left the Alliance Party and joined the Tories. He stood as a Conservative and Unionist candidate in North Down in the general election of 2010. However, he became disenchanted with the Conservative approach and left the party. This year he rejoined Alliance. He thinks a restyled local Tory party won't work. "You have to do more than just restructure," he said. He believes "the Conservatives don't have a message that resonates uniquely with the electorate". It is a point that Alex Kane agrees with. The newspaper columnist has worked for both the Conservatives and the Ulster Unionists. He thinks the restyled Tory party will find it hard to attract pro-union voters in what is an already crowded field. "I really don't see what they are offering," he said. He also doubts the rebranding will work and states that "the Conservatives have been re-inventing themselves since 1989". Like Alex Kane, Lesley Macaulay knows the Ulster Unionists and the Conservatives well. She was a candidate at the last general election under the UCUNF banner and, as an Ulster Unionist, felt at home with the political alliance. When both parties decided to end the arrangement she left the UUP and joined the Conservatives. She believes the Tories new move will work and says it marks a "new party for Northern Ireland". She thinks she and her colleagues can attract non voters and voters fed up with the more established parties. "We are not going to apply orange and green labels to the issues," she said. Breaking the mould of local politics is an enormous challenge for the Tories. They have no elected representatives on councils or in the assembly. In the past their share of the vote has been very small and they have often struggled in local elections to break the 1% barrier. Rick Wilford, a professor of politics at Queen's University thinks the local Conservatives have an image problem. "I don't think it has any credibility electorally," he said, adding that the party had "a very poor track record for the last two decades". The local Conservatives hope his analysis is wrong. They think they can make a difference. In the business world consumers quickly decide if a product change has worked or not. In politics it is similar. Voters will ultimately decide if the Tories new beginning has a happy ending.